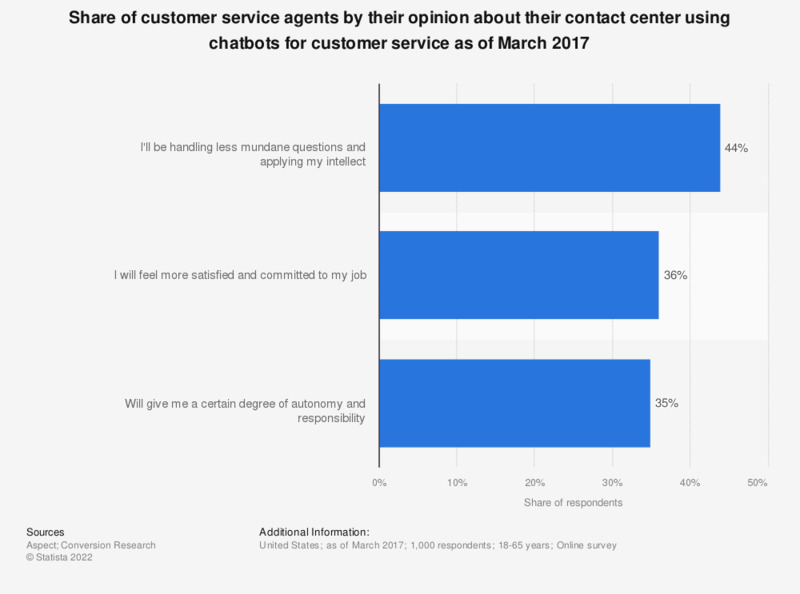 This statistic shows the share of customer service agents by their opinion about their contact center using chatbots for customer service as of March 2017. During the survey, 36 percent of the respondents stated that they feel more satisfied and committed to their job when their contact center uses chatbots for customer service. The question was phrased by the source as follows: "Please tell us how likely you feel each of the following results would be if the customer support center or customer service center where you currently work started to use chatbot technology to help handle the most frequently asked".